Home > Timesheets > Timesheets - FAQs > Can We Have Varying Billable Rates for Each Project? Yes, Avaza provides various billing options to invoice your customer on a per-project basis. Set varying billable rates via Project Settings. 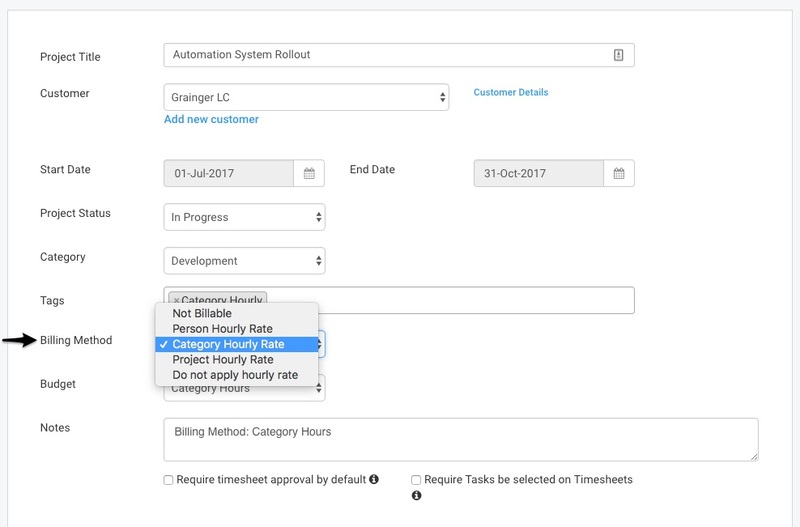 You can choose to invoice based on Project, Category or Person hourly rate or choose not to apply hourly rate. You can also choose to mark the Project > Not Billable. This stops any timesheets on this project (regardless of the billable flag) from ending up on an invoice or showing up as uninvoiced. The project settings page allows you to enter custom rates for each category or person for maximum flexibility. Read our Project Settings Guide for more information.